When cell phones first came out, I used to hold mine directly up to my ear for what amounted to hours a day. A few years ago, I had surgery for removal of cancer in the exact spot I held my phone. I can’t prove direct causation, but that’s when I started looking into the possible ramifications of radiation from cell phones. After that, I started reading the small print that came with the cell phones I bought and noticed even they had warnings about the radiation. But it took some real sleuthing to find it. Take Apple, for example; the manual tells you to go to the Apple website for a detailed explanation of safety. After sorting thru looking for the right link, you open the document where it tells you to go look on your phone. To access the info on the phone, you go to Settings > General > About > Legal > RF Exposure. It’s pretty daunting, and within the info, they refer you back to their website for more info on their testing. The process is quite a run-around. 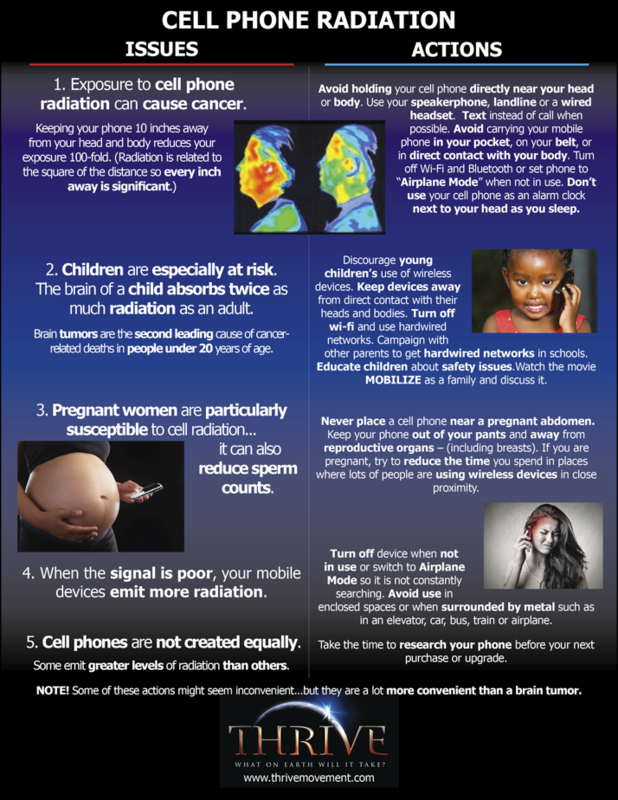 I offer it here with thanks to Kevin Kunze, who dedicated years of his life to researching and documenting the consequences of exposure to cell phone radiation. He made the new documentary MOBILIZE which I wholeheartedly recommend and which is premiering in San Francisco at the Castro Theater on September 13th. It is also available to watch for a much-needed, well-deserved fee of $4.00.